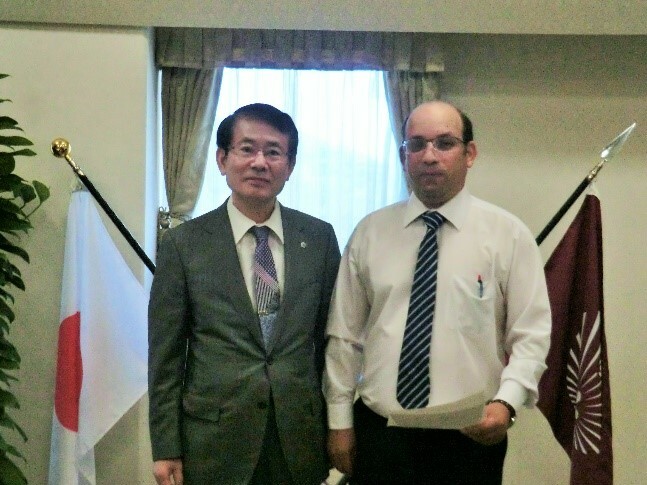 Professor Khellil Sefiane was received by the president of Kyushu University, Professor Chiharu KUBO on the 7th of July 2015 to be presented with an appointment letter. Professor Khellil Sefiane is appointed as Professor at Kyushu University for the year 2015. Professor Khellil Sefiane held a World Premier International Professor position at the International Institute for Carbon-Neutral Energy Research (I2CNER) in the same university in Japan in 2014. This is part of an ongoing collaboration between Kyushu University and I2CNER in Japan and Professor Khellil Sefiane in Edinburgh. 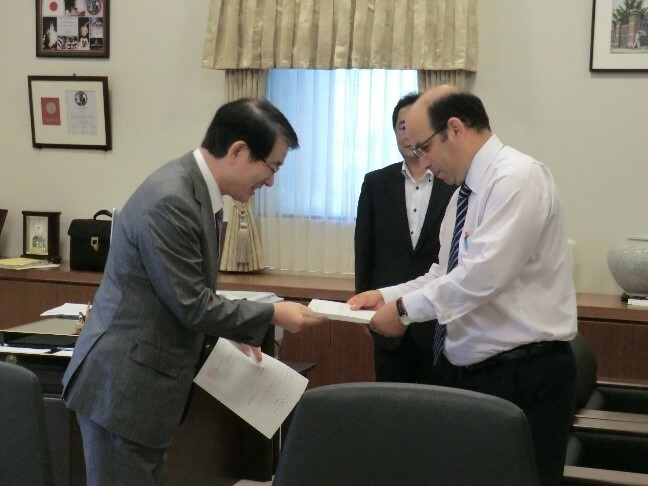 President of Kyushu University Professor C. Chikaru handing the appointement letter to Professor Sefiane. Professor C. Chikaru and Professor Sefiane in the office of the president after the ceremony.